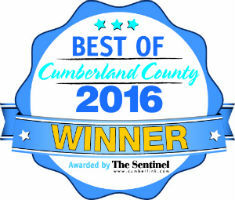 The results are in for the Sentinel’s 2016 Best of Cumberland County contest! Thank you for voting us Best Chiropractor for the 11th year in a row!! We Are Celebrating With A Week-Long Patient Appreciation Event! We look forward to showing the love all week long with light refreshments and door prizes for you, our valued patients. 20% Discount on Product Purchases the entire month of August! Call us today to schedule your appointment. We look forward to seeing you!